Would you like to invest in looking after your body and wellbeing? 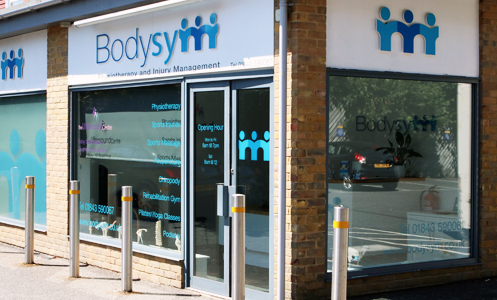 The Bodysym clinic is a member of the YourPhysioPlan network, which gives easy access to professional physiotherapy treatment when you and your family need it. The YPP scheme offers cost-effective monthly care plans which cover all pre-existing injuries and conditions. We feel the monthly payment structure is a really helpful way of letting clients spread the cost of treatment evenly over the year. You might find it encourages you to be more proactive about managing any injuries before they get worse and affect your ability to function. Find out more at YourPhysioPlan or ask at Bodysym reception for details.